It’s no secret that (most) Malaysians love food like no other. Which is why it comes to no surprise that we have plenty of eateries open till late night or the wee hours of the morning. So, if you are one of those night owls looking to fill your tummy, check out these 8 best supper spots in Klang Valley area. This famous Taiwan bakery chain needs no introduction. They serve a wide selection of freshly-baked doughnuts, buns, pastries, cakes as well as hot and cold beverages in the comfort of a cosy cafe. And you know what’s the best part about Donutes? They are open 24/7 and you can locate them in Klang Valley including Puchong, Kota Damansara and Subang Jaya SS15. This famous 24-hour hangout spot in the bustling streets of SS15 Subang is no stranger to many youngsters. Don’t be surprised if the cafe is packed to the brim, particularly during the night. Despite the name, their nasi lemak and Maggi goreng are particularly a crowd favourite here. Tired over the same old mamak stalls and 24-hour fast food restaurants? How about a steaming bowl of bak kut teh for a change? Fatty Bak Kut Teh, which opens every day from 6 pm till 4 am in the morning, has been a mainstay in Old Klang Road for over a decade. Apart from serving usual herbs-infused bak kut teh with pork meat, you might want to try their signature “Ginger Steam Fish Head” as well if you have room for more. The words “supper” and “Murni Discovery” are often synonymous with each other. After all, this popular mamak restaurant opens until the wee hours of the morning. But this is far from your usual mamak fare. Sure, you can get local favourites like nasi lemak, roti canai and fried rice. If you’ve never visited this restaurant before (seriously? ), some of their unique must-try menus include “Roti Hawaii”, “Roti Beckham”, “Mee Raja”, “Maggi Germany” and the spicy “Spaghetti Meletup”. Bored of the same old teh o ais limau or teh tarik? Why not pair your supper meal with a glass of signature fruity mocktail for a change? Tucked away in Old Malaya at Lorong Raja Chulan, the word “cosy” is best used to describe this upscale seafood restaurant. You can dine indoors or choose the open-air deck, where you can enjoy the nighttime view of the majestic KL Tower. The seafood is just as tempting, with recommended dishes such as the sauteed “Pier 12 Garlic Prawns” and pan-fried “Tandoori Flavoured Halibut Fish Fillet” with mint yogurt cucumber raita. If you come in groups, don’t forget to order their share-worthy “Pier 12 Seafood Platter”, an assorted seafood dish packed with octopus leg, scallop, king prawns, halibut and potato. Choices are aplenty when you dine at Poppo Kanteen, a fusion restaurant best known for their signature nasi lemak dishes. You can have them plain or pair them with the likes of chicken rendang, ayam masak kicap (soy sauce chicken), mutton curry or beef rendang. There are currently four branches in Klang Valley including Taman Bukit Segar in Cheras, Bandar Puteri Puchong, Bandar Baru Sri Petaling and Pandan Indah. Here is another Old Klang Road gem to satisfy your supper craving. The only gripe that the food — just like Fatty Bak Kut Teh in our list — served in Restoran Yan Yan A One is non-halal. 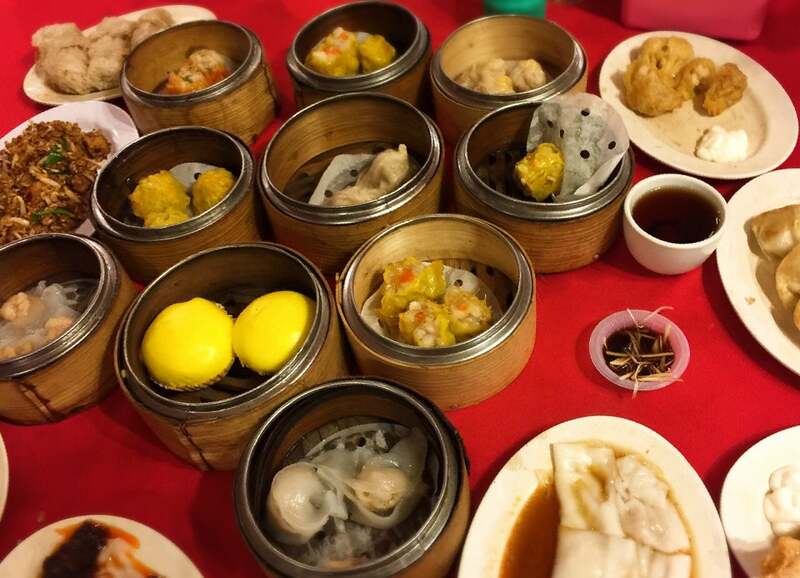 But other than that, it’s not every day that we get to see a restaurant that offers traditional dim sum dishes 24/7. That means you get to enjoy them anytime you want, not just breakfast. And the good news is, their dim sum is also reasonably priced. 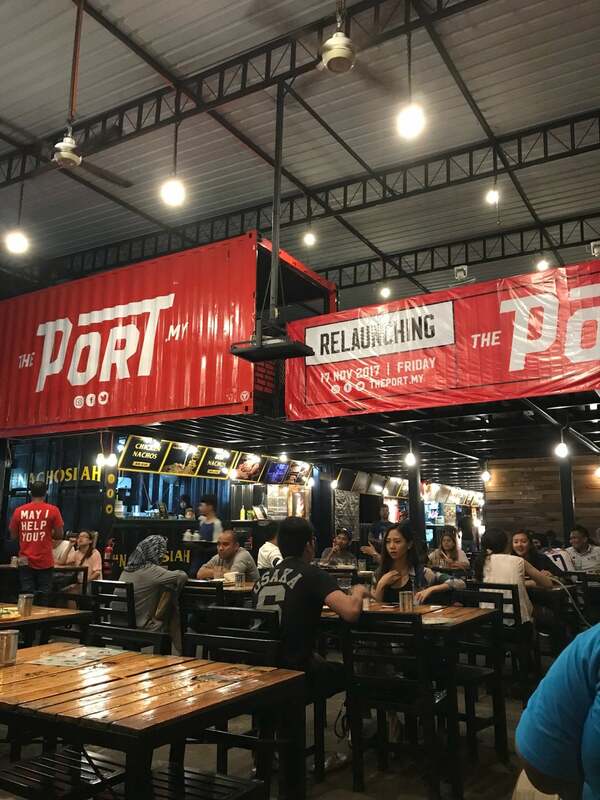 Despite the name, this Bandar Utama food court isn’t actually located on the port itself. Instead, it was named as such due to the shipping container-based concept. Western, Mexican, local — you name it, The Port has plenty of delectable food varieties that will have you spoilt for choices. Open every day from 4 pm to 4 am in the morning.